This Valentine's day float is a fun treat to serve at your Valentine's Day Party. Audrey will show you how to turn some sherbet and ginger ale into love potion to celebrate Valentine's Day. You can see her Love Potion Float recipe over at Sweet Cheeks Tasty Treats. 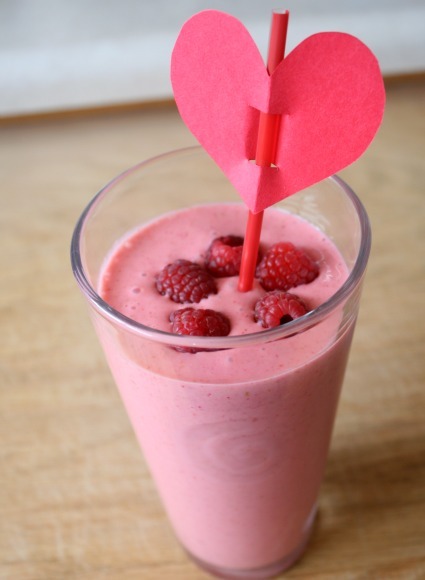 If you are looking for a healthier option, even one you could serve for breakfast, check out the Love Potion Smoothies from Make and Takes. I love the sprinkles on the float...makes it so much more special!